It’s really unclear why Indiana Jones and the Kingdom of the Crystal Skull gets such a bad rap. It has all the makings of a classic Indiana Jones film. Iconic scenes, fun action, a good mystery, and Harrison Ford. Ford fits the title role just as good as ever. Never seeming like he’s trying to keep up. Balancing him out well is the new character, Mutt Williams, played by Shia LaBeouf. The two actors compliment each other and LaBeouf, like always, makes the film a lot more affable. Taking place in 1957, Mutt seeks the help of Jones to find the legendary Crystal Skull of Akator–an alien artifact containing telepathic powers. It takes place only 19 years after the events of the previous trilogy, but it feels like more. Things changed dramatically from the late-’30s to the late-’50s. The original Indiana Jones films act as an homage to the serials of the ’30s. We’re past that here. Pop culture is in full swing and mass media is just beginning. It’s fun finally seeing Indy in a new era. Amidst the Cold War and Americans truly feeling like they were lost and in the dark, the ’50s is often depicted as a more innocent time. Perhaps the last purely “innocent” decade. Yet the dichotomy between innocence and fear is captured nicely here. Director Steven Spielberg gives us an intentional ’80s aesthetic in order to match the quality of the original. But perhaps he underestimated that quality. The original movies looked great for that time. I’d be interested to see what this film would’ve looked like with a more 2008 look. 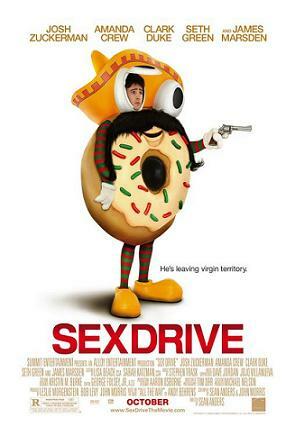 It utilizes the comical aspects of the 3rd film, but takes it even further to some people’s dismay. The humor borders on campy a couple of times, but so it does in The Last Crusade, and I’m not so sure people were complaining back then. In a series where all three of the original films had completely different tones, Crystal Skull is no different. This one is another welcome change. That disparity helps to round out our main character. Showing him in different ways helps give him depth. Kingdom of the Crystal Skull has a great story and takes us on an amazing adventure. When people think of Indiana Jones, they think of the type of things that happen in this film. People love to romanticize Raiders of the Lost Ark, but the truth is that movie is dated. Crystal Skull gives us an Indy to fit in with modern times without making it feel too modern. Cloverfield came at a defining moment in viral culture. YouTube was really getting big, and smart phones hadn’t even been around for 2 years yet. So give credit to the awareness of the filmmakers, including producer J.J. Abrams, to take a chance on something that spoke to a new generation–perhaps the first film to do so (based off memory so don’t get mad if I’m wrong). It was modern and cool and what people actually wanted to see, but not like in a cheap way when some rich old guy says “Ooo, I bet the kids’ll really dig this.” But in a totally conscious way. It’s a monster movie with a modern flair. Set in New York City (where else? ), it features a group of friends trying to escape Manhattan away from this large unidentifiable creature. The acting isn’t the best–save for Lizzy Caplan and T.J. Miller (the latter of the two having his career essentially launched by this movie alone)–but that may have to do with the completely exposed and unrealistic dialogue. It’s obvious that the filmmakers chose to focus more on concept and narrative. And that’s fine. During the movie’s setup, before the monster attacks, a party is being held to bid farewell to Rob (Michael Stahl-David) before he leaves for a new career opportunity in Japan. Rob’s best friend, Hud (Miller), is documenting the whole thing–including the rest of the movie–on video camera, which may be the best decision by the filmmakers in this whole film. Miller arguably carries the movie and provides great comic relief, proving why he deserves to be such a dominant figure in these types of roles these past few years. Director Matt Reeves does a good job moving the story along and not leaving behind much wasted space. It constantly feels like this is what might actually happen if there were some sort of monster attack. One allowance you’ll have to make, however, is the corny love story amidst all the chaos. Rob convinces his friends to venture back into ground zero in order to save the one-that-got-away, Beth (Odette Yustman). But thankfully Cloverfield never takes itself too seriously. Or maybe it does, but it’s so much so that we just laugh and enjoy it anyway. Ben (Jim Sturgess) is trying to get into Harvard Medical School but doesn’t have the money. He is told that chances are slim that he will get the full scholarship that is given to one student each year. He realizes that his life has been too easy and that he has no story to tell. Then his professor (Kevin Spacey) recruits him into his card counting blackjack club. They go to Vegas and try to bring down a few casinos to make loads of money. 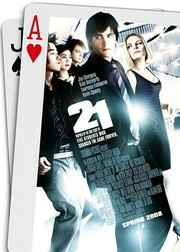 As an avid blackjack player it’s easy for me to understand what’s happening in this movie. They give us insight on card counting strategy. However, if I had never picked up a deck of cards I would have been totally lost watching this movie. It dumbs down the dialogue too much, but then doesn’t explain enough details. That brings me to the ridiculous plot holes in this film. Why are they only hitting up 3 different casinos when they can lessen their chance of getting caught if they do a different casino each time? Also, why are they flying from Boston to Las Vegas each week when Atlantic City is over 2000 miles closer? And there wasn’t enough detail explained behind the secret identity concept. Overall, there were too many questions left on the table, so to speak. But the entertainment value is definitely there. It’s suspenseful, it’s funny, and it’s enjoyable. We like the protagonists and are rooting for them. Except for after we realize that the characters’ personalities waver a little too much. The biggest downfall here is the script and the directing. Both were sloppy. These characters are attempting a heist of sorts–yet they are constantly looking indiscreetly at each other throughout the jobs–perhaps to let the audience in on what’s happening. But instead it just feels contrived. And the actors aren’t directed to their best potential–besides Spacey who has enough experience to override certain suggestions. But the script needed one or two more rewrites and it would have been tight enough to really work. With a heist movie we expect it to be slick–which this film failed to do on a couple of occasions. But besides that, it’s a fun watch. When a film is titled “What Happens in Vegas” one would assume that the majority of the movie is set it Las Vegas. As for this film, it spends about 13 minutes in Sin City, while the rest of it is set in New York City. This annoyed me early on, as Las Vegas can make even Showgirls seem glamorous. But after awhile I forgot about my feelings and could enjoy the movie. Joy (Cameron Diaz) and Jack (Ashton Kutcher) are two people who meet in Vegas, get drunk, and get married. They wake up and start disliking each other for reasons unknown. Then Jack hits a $3 million jackpot and the judge orders them to serve 6 months trying to make their marriage work. Spoiler alert: they fall in love. You see it coming from a mile away. In fact, the entire movie is full of cliches, but that’s pretty much the only reason you’ll have for hating this movie. If you can see past that you might end up liking it. The charm of the leads and the dialogue make for a painless viewing. It also helps that the supporting cast includes Rob Corddry, Zach Galifianakis, and an underused Jason Sudeikis. Despite my initial disappointment, I had a surprisingly good time watching this movie. I just wish they had picked a different title.